There was so much to like about this year’s egg hunt. Double the number of children came along to hunt eggs; around 180 children based on the number of eggs we went through. Generous donations on the day covered about half the cost of the hunt, and given we had to double the size at late notice, this has meant our bottom line stayed the same – great news. We had enough volunteers to run the event smoothly, and this is a high intensity event needing more people in a shorter time than our other events. 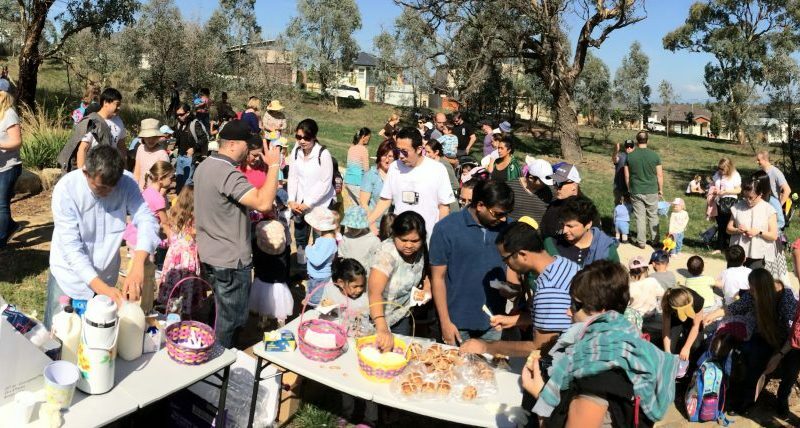 Lastly, we went though 90 hot cross buns and plenty of tea and coffee as families stayed back and enjoyed the time in the park with friends and neighbours.